If you are dealing with the construction of a steam bath then of course also the prices of steam bath technology are an issue. Does the size of the steam sauna affect the steam bath tenique costs? As in many areas, the cost increases with the size of the steam cabin. However, the cost of the steam bath used (except the heating mats) but remain almost unchanged the same, because it does not matter if the steam room is now 100x100cm small or 200x200cm in size. Technology box, light, the steam generator is mostly the same, our brine nebulizer technology is so strong that it works well from small cabins to large steam cabins …. Which steam bath technology do I need and which options are available? You need a white light, a steam generator, heating mats to any surfaces you want to heat, then maybe our high-quality brine fogging technology, colored light, the control box, .. this technical steam room equipment remains the same. What changes is then depending on the size of the heated area and thus the cost. “Made in China” or brand quality? Important and of course the larger chunk of the steam bath technique is of course the steam generator. However, this is the heart of a steam bath and should serve you for years. Of course you can save here and buy at various “online shops” that have nothing to do with the actual steam bath construction, but much technology from China and Co. offer. The steam generators from China are of course cheaper but also not logically with the European steam bath technology we offer to compare. Which options or alternative accessories are there? As an optical, beautiful accessory we recommend the use of colored light lamps which create a nice atmosphere in the steam bath. Furthermore, there is the possibility of using an aroma pump to transfer pleasant scents into the steam sauna (via the steam pipe). We offer here in our online shop numerous Dampfbaddüfte and containers (1 liter, 5 liters) to. Our Solenebler is an option that provides you with a substantial healthy added value! Fog with 1-3% brine solution and teas (chamomile tea, peppermint tea, thyme tea, sage tea). Tip: Dissolve the salt immediately in one liter of tea and then have a multiple health effect. A special additional visual charm gives you our starry sky which is incorporated into the steam bath ceiling or steam bath dome. Here we do not use fiber optic cables to produce many “weak spots” in the ceiling but those new starry sky with LED technology, installation sleeves and sealing rings! Stainless steel switch in the cab: We recommend the use of stainless steel switches in the cab. You can switch the steam generator ON / OFF from inside, switch ON / OFF the brine misting and, for example, switch the dusts or a niche light. So you need to operate any switches in front of the cabin and unnecessarily let out steam from the cabin. We advise against steam bath displays in the cabin! We would have used these in the past too, but unfortunately the experience made that the steam operation and brine operation in the long term did not withstand. The stainless steel switches we have been using for a long time now are vandal-proof and accordingly robust. These can virtually not be broken! We have attached here a “sample offer” with the usual Dampfbadtechnikkosten. In this form you will also receive from us the offers, clearly presented with the technical information. This is a kind of price list for you as a clear presentation of the prices Steam bath technology -here is no “cabin on measure” included! 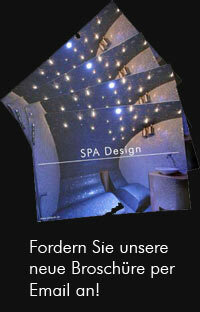 Steam bath elements / SPA modules such as seat forms, couches, walls, steam bath dome ,. and any pre-production costs (if desired) are not included in the sample offer. The heating mats will be charged according to the actual m2 – you can calculate this with a rough estimate of your steam bath (all wall surfaces together plus base area). ALTERNATIVE POSITIONS are not counted and represent in the offer only the possible options. Rely on our more than 15 years of expertise in steam bath construction, because we can not only support you with the right steam bath technology decision but also provide support and steam room planning for the construction of your steam bath.